What is a Trench Knife and Are they Worth Money? For a history buff, coming across a trench knife in reasonably good condition would be like a dream come true. They might not be the rarest of war memorabilia, but they certainly aren’t common to come across either. 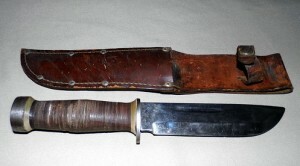 Trench knives first came about during the WWI when soldiers took it upon themselves to fashion knives made from bayonets. 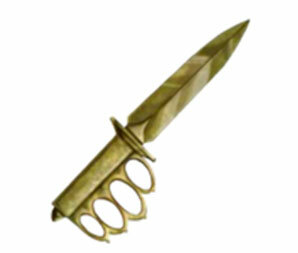 Eventually, trench knives (or combat knives) became the “go to” weapon for close combat. Today, combat knives are a standard piece of army equipment and still play a vital role for soldiers in close quarter combat situations. In fact, upon graduating from the United States Army Special Forces Qualification Program, each soldier is given a Yarborough Knife to congratulate them. 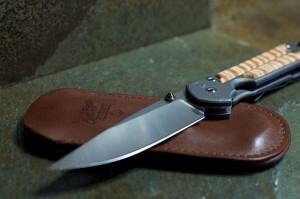 There are a wide variety of modern trench knives that range from around US$ 30 to over US$ 4000. However, if you’re looking for an authentic trench knife from the WWII era, you’re in luck! A quick search on eBay will yield you a number of results, all ranging from around US$ 20 to about US$ 600. But, as always, buyer beware. There are many ways to pass off a combat knife as an authentic WWII trench knife. “Fact 1: There were several manufacturers who produced trench knives for the U.S. Government but Au Lion was the only foreign manufacturer. If you’re one of the lucky few to have had a relative fight in the war and have subsequently inherited am Au Lion or another trench knife, you stand to make a pretty penny if you find the right buyer. Your best bet would be to skip the eBay scene and find an auction or antiques buyer interested in war memorabilia. Or, if you’re feeling sentimental, you could always just keep it. After all, you’re holding a piece of history!